PV students and the PV/Bergen ABA Art Class Program designed ribbons for Autism Awareness Month in April. 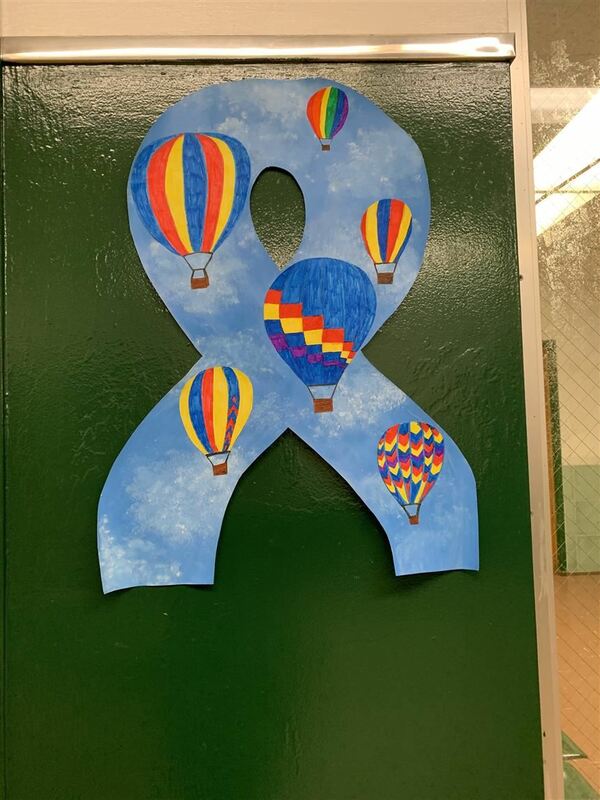 They are currently hung up around the school in an effort to promote school pride and raise awareness to the wonderful programs and inclusive community we have here at PV. 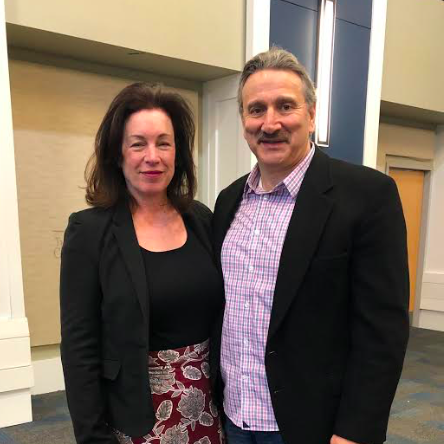 On Friday, March 22nd, NJSCA recognized Mr. Bill Pantale as Counselor of the Year for Passaic County, upon nomination from Mrs. Danielle Vigilante. Pantale, who has been a counselor for over 36 years, was honored at the 33rd Annual "Counselor of the County" awards program luncheon held in Ewing, NJ. 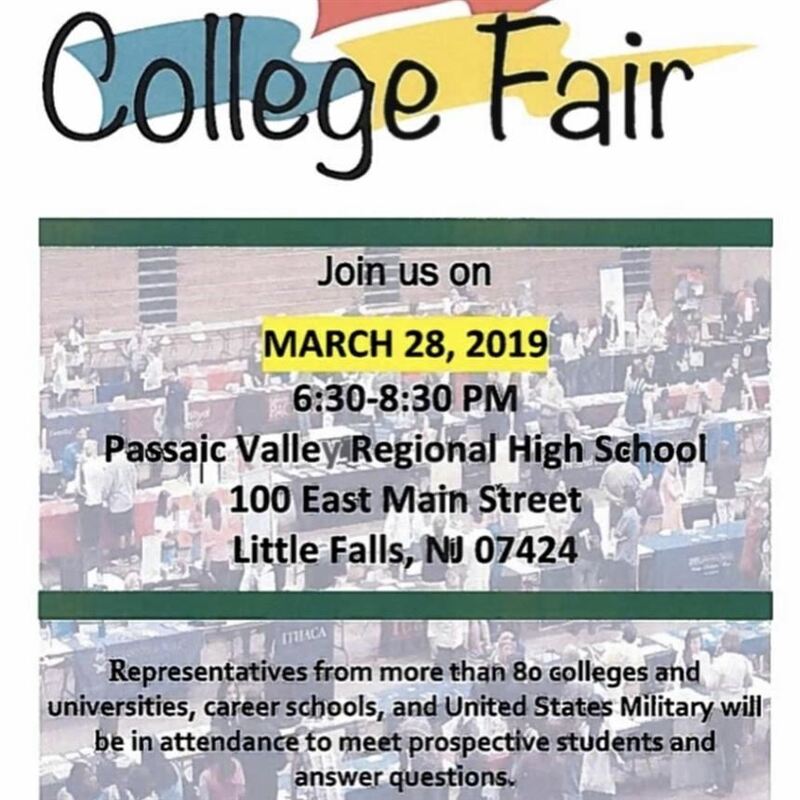 Several of Passaic Valley's juniors and seniors made the trip to the various middle schools in Totowa, Little Falls, and West Paterson on April 8th, 9th, and 11th, to talk with eighth grade students about student life here at Passaic Valley. The Sophomore Team achieved 1st place at the annual Student/Staff Volleyball Game on March 27th. Proceeds for this year's game went to Ramapo-Bergen Animal Refuge. For the past eight years, Passaic Valley’s Culinary Classes have participated in a Top Chef style competition. 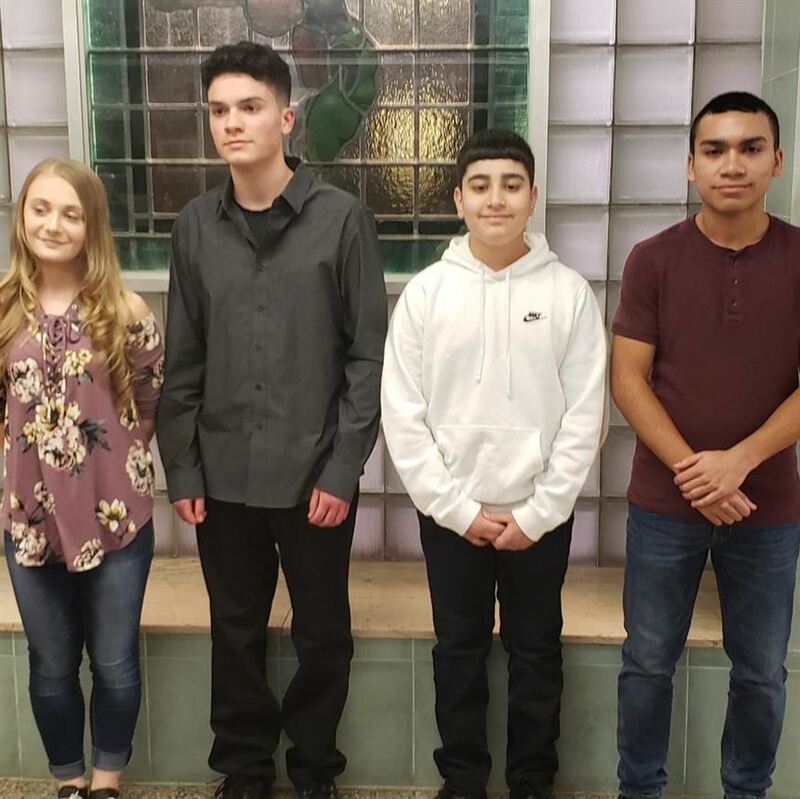 This year's winners included: Mounir Sakhat '19 and Zaid Sousan '19 in third place, Alyssa Snyder '20 and Bedour Issa '19 in second, and champions Logan Rodriguez '19 and Mohammed Oudah '19. 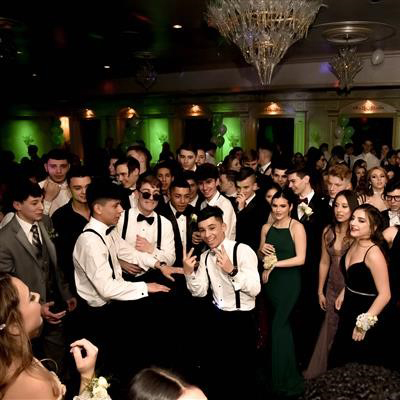 Junior Cotillion was held at Il Tulipano on March 7. 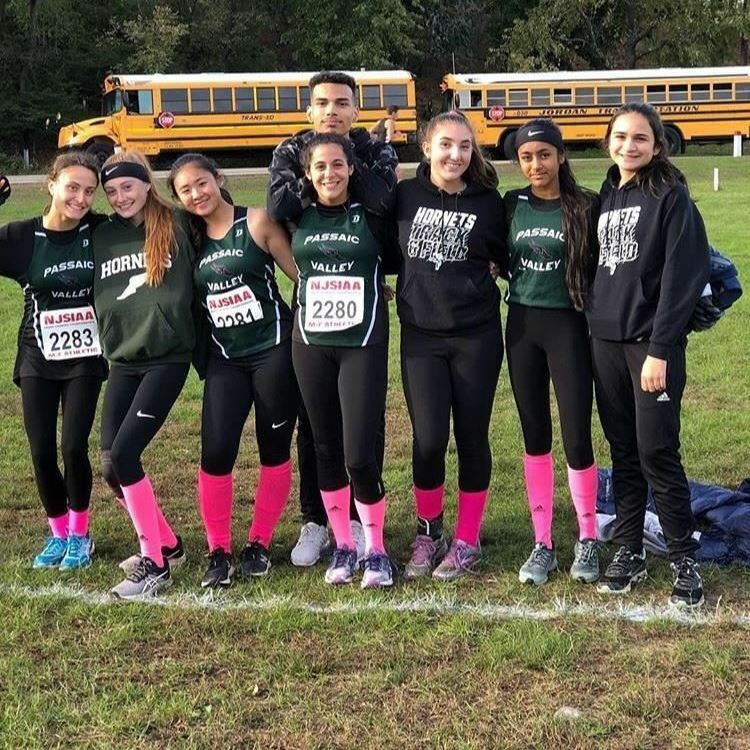 Class of 2020 advisors, Mrs. Rachel Briggs and Mrs. Susanne Benvenuti, along with the class officers, planned the event over the past few months. 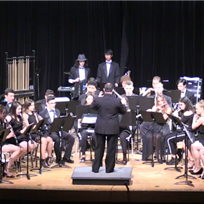 This Thursday, March 21, Passaic Valley Band and Choir will be hosting its annual Spring Music Concert. The concert will start at 7pm and will feature performances from the Jazz Band, Concert Band, Choir and the Hornet Harmonics, the school’s acapella group. 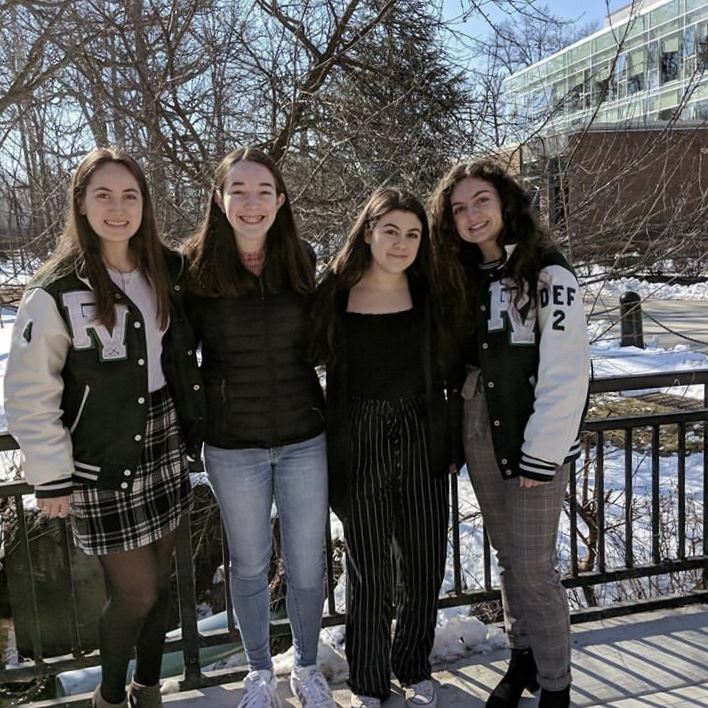 Active for twelve years and currently under the supervision and guidance of Mrs. Kelly Morris and Mrs. Danielle Vigilante, the PV Peer Mentoring Program has given freshmen the opportunity to ease into their transition from middle to high school under the guidance of junior and senior student mentors. 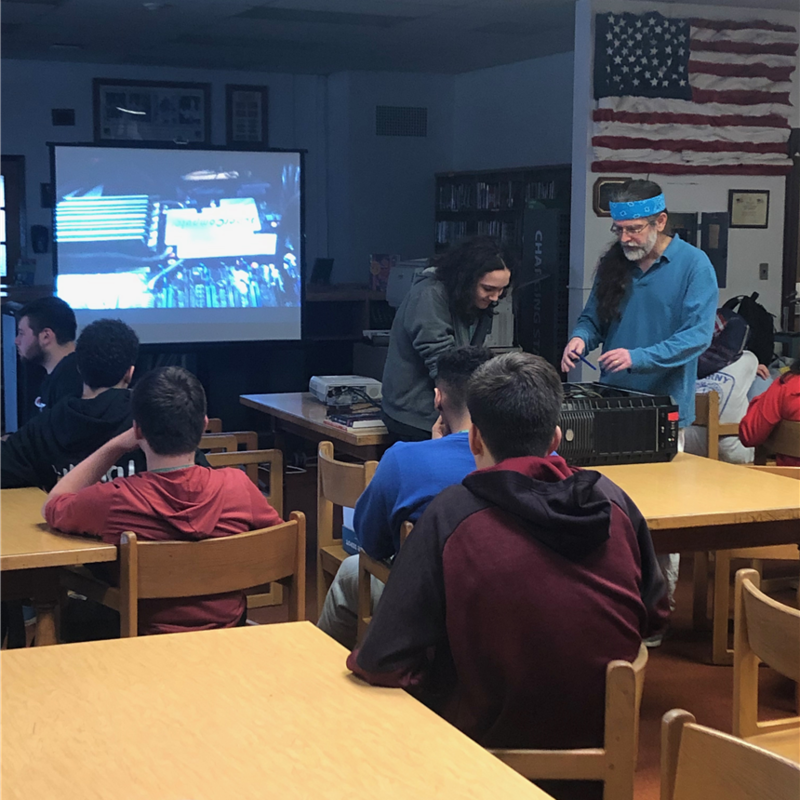 From March 22nd to the 26th, Passaic Valley’s STEM classes were exposed to Python, a commonly used professional programming language. Dr. Martin Carroll, of Nokia Bell Labs, served as a guest professor and educated students on STEM research along with additional exposure to the field of technology. Anatomy and Physiology Honors students visited William Paterson University for a tour of Dr. Kelley Healey's molecular biology research lab and Dr. Sonya Bierbower's neuroscience research lab on Friday March 29th. 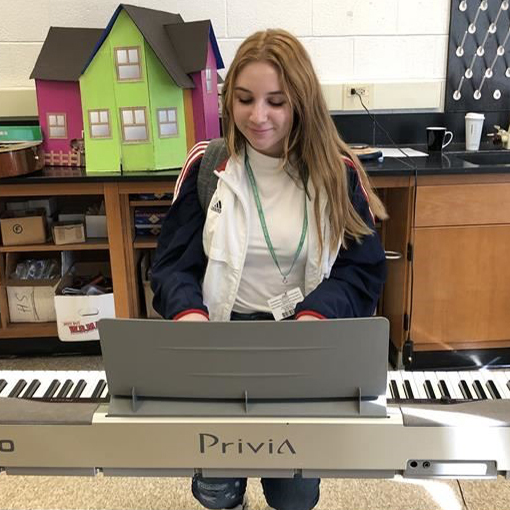 In March, Mrs. Elena Shtraks’ and Mr. Kevin Haimowitz’ physics classes undertook the Music Instrument Project, where each student discussed the relationship between their chosen instrument and physics, followed by a short musical performance. 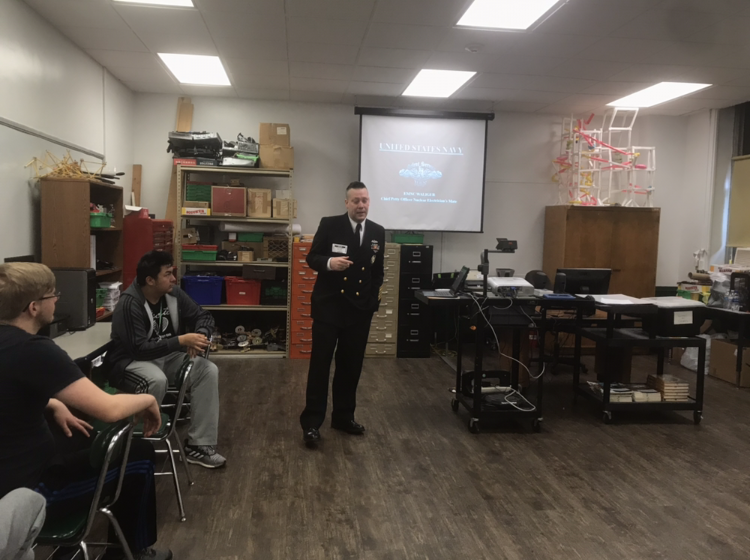 On March 7th, the 6th period Principles of Engineering Honors class and Physics Club welcomed guest speakers Mikel Hamlin and Francis Waligur to talk about nuclear engineering in the U.S. Navy. The Student of the Month award gives academically gifted students recognition for their achievements and hard work. March highlighted students who excelled in mathematics. This month's awards went to Joseph Valencia '19, Salvatore Mancini '21, Johnny Sahdou '22, and Isabella Zigarelli '22. 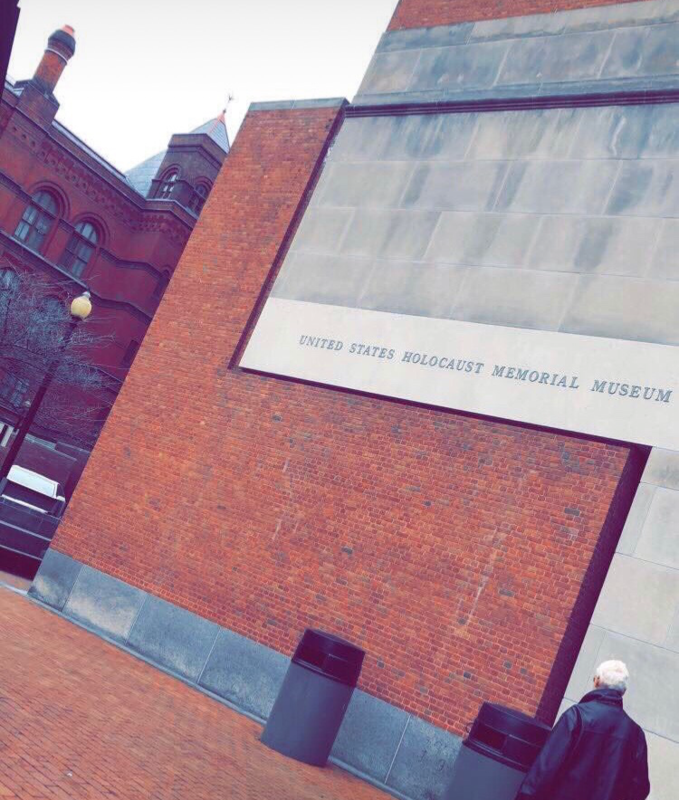 On March 8th, Mr. Donnelly’s Holocaust and Genocide classes visited the Holocaust Memorial Museum in Washington D.C. 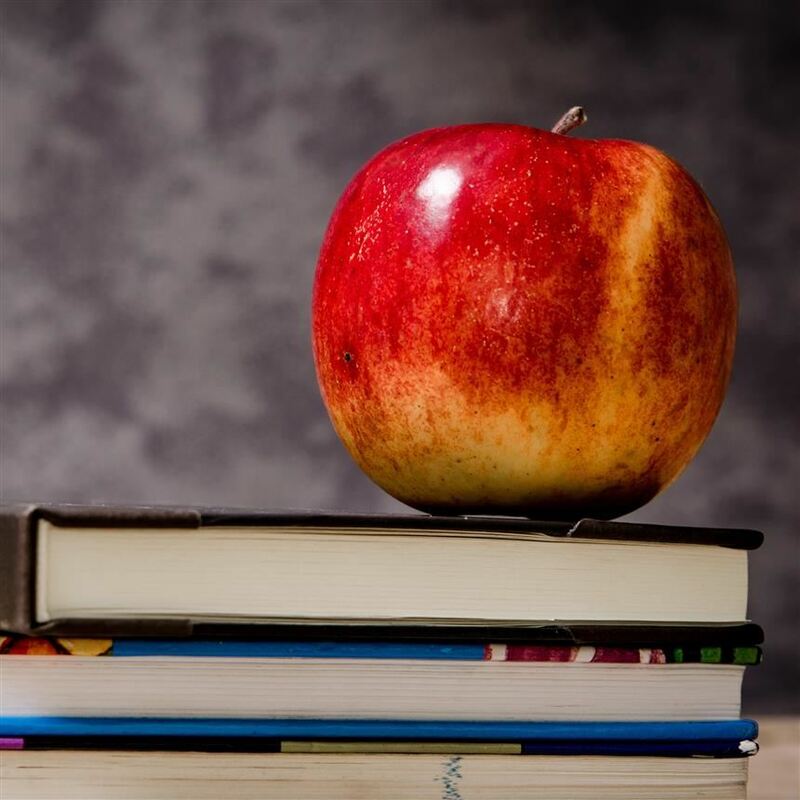 While the museum displays many historical artifacts dedicated to the remembrance of The Holocaust, it also educates students in a way that a classroom simply is unable to. 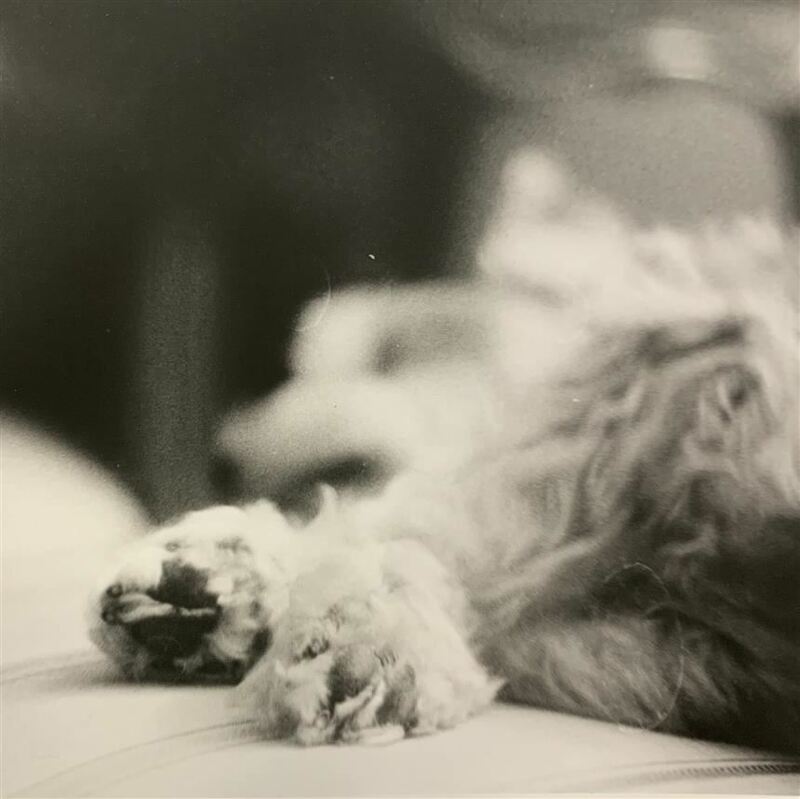 In the age of digital photography, young people may never be exposed to the film process, a highlight of Passaic Valley's Photography classes. PV is one of just a few high schools that have maintained a "dark room" and continue teaching the multi-faceted film process in addition to digital photography. 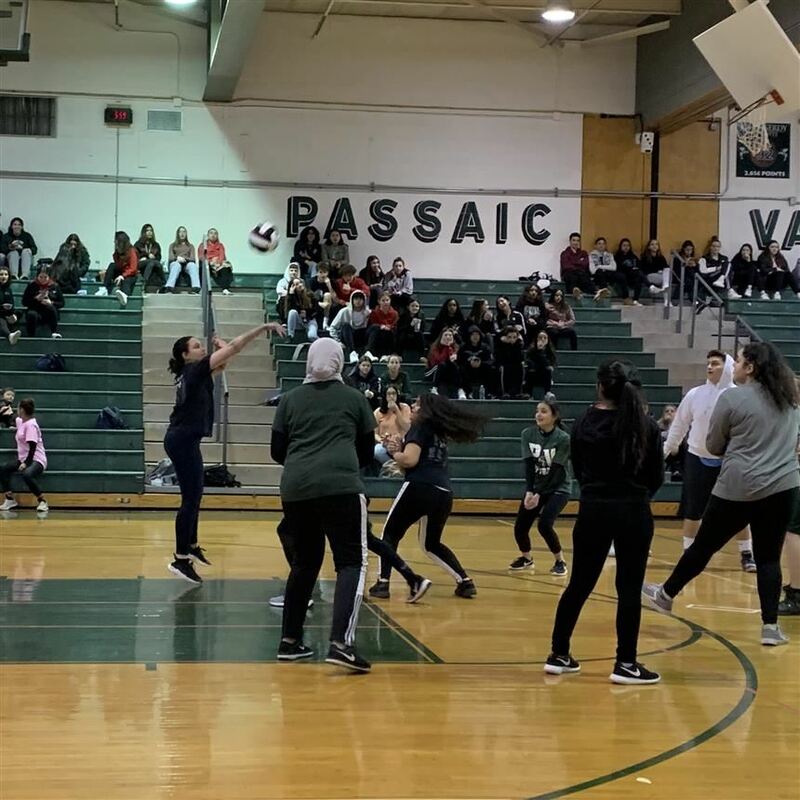 On February 25th, Passaic Valley publicly announced its most extensive additions to its course offerings in school history. The updated Program of Studies looks to build on PV's already impressive and innovative opportunities offered to students. 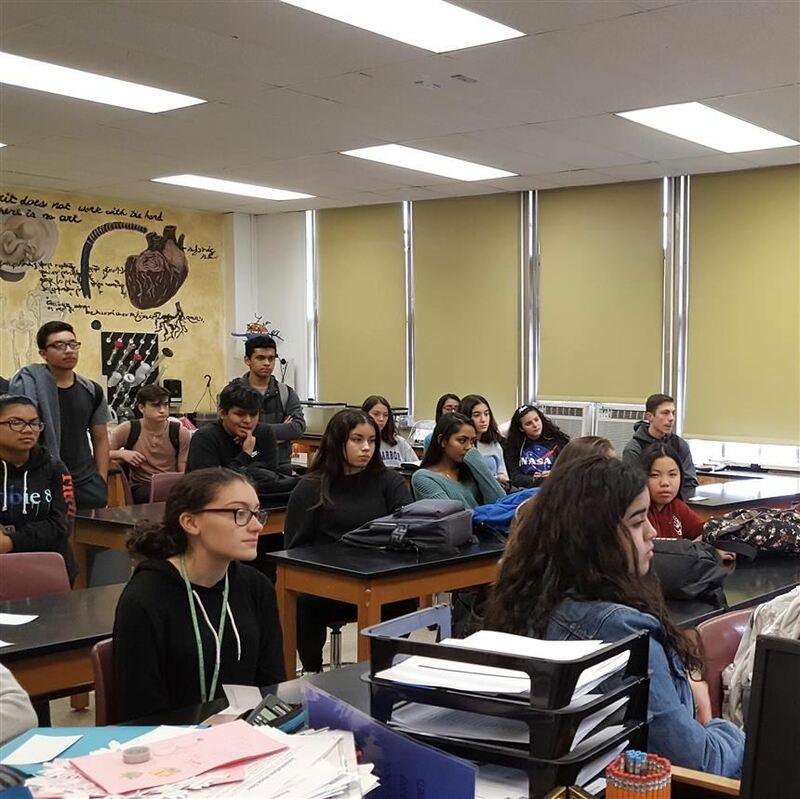 Passaic Valley offers various different courses and electives that enhance the learning environment for students. 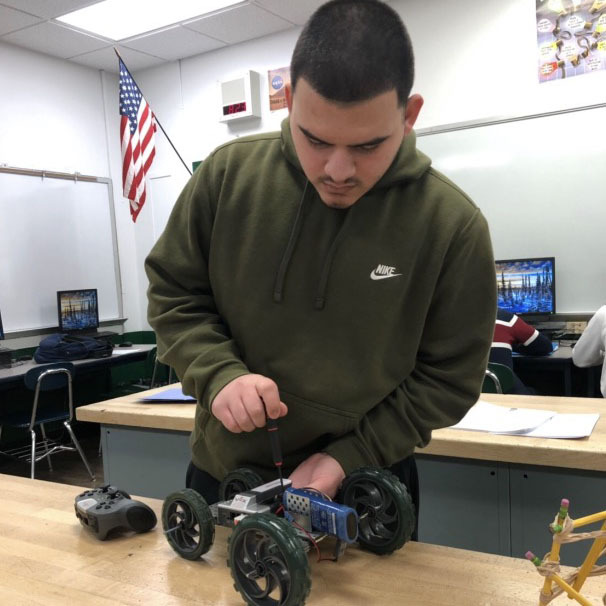 Engineering, a new course for the 2018-19 school year, provides another important STEM pathway for interested and eager students. Science teacher Ms. Richeall Kennedy introduced a new experiment for her chemistry students this past week. 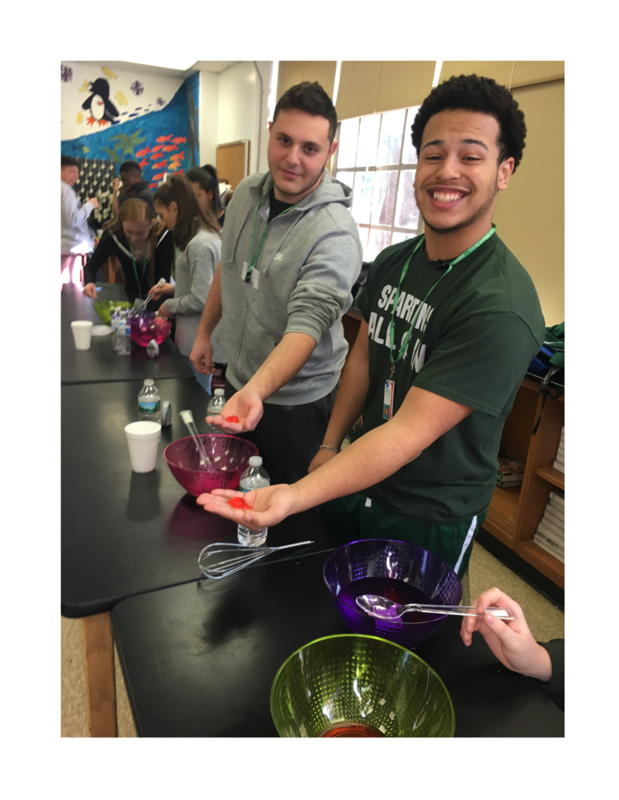 The students created edible water bottles out of certain elements mixed with water. Colby Sellitto '21 has already managed to make a name for himself in the athletic and academic world. 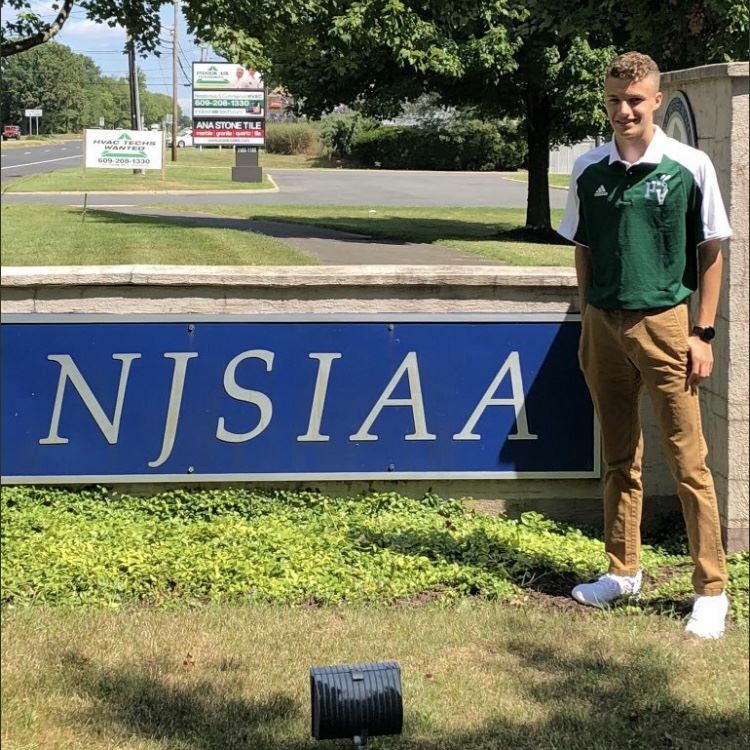 He has an impressive wrestling record and was chosen to be a student ambassador for the New Jersey State Interscholastic Athletic Association, all while maintaining his impressive 4.65 GPA. 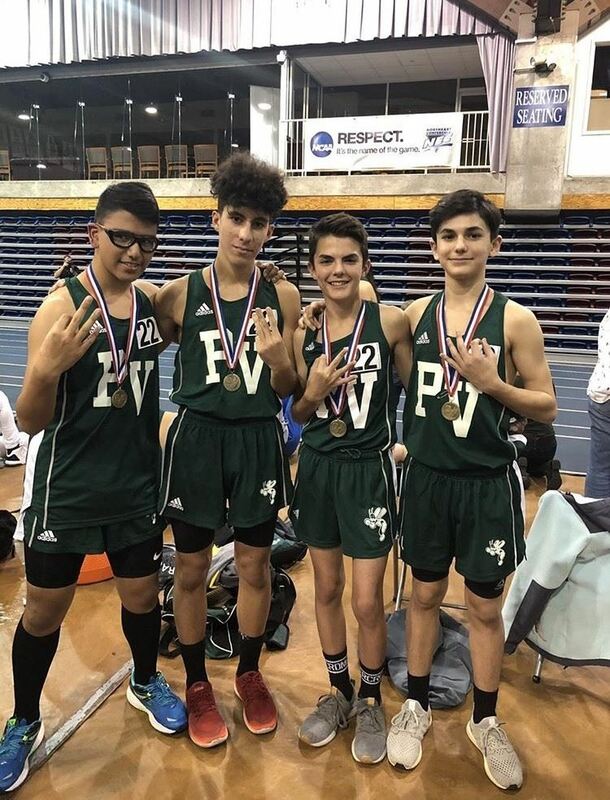 This Indoor Track season was particularly memorable for the Freshmen Boys 4x800 Relay Team. They displayed their athleticism, heart, and considerable potential at each meet. At one point in the season, they came in 1st for three consecutive meets. 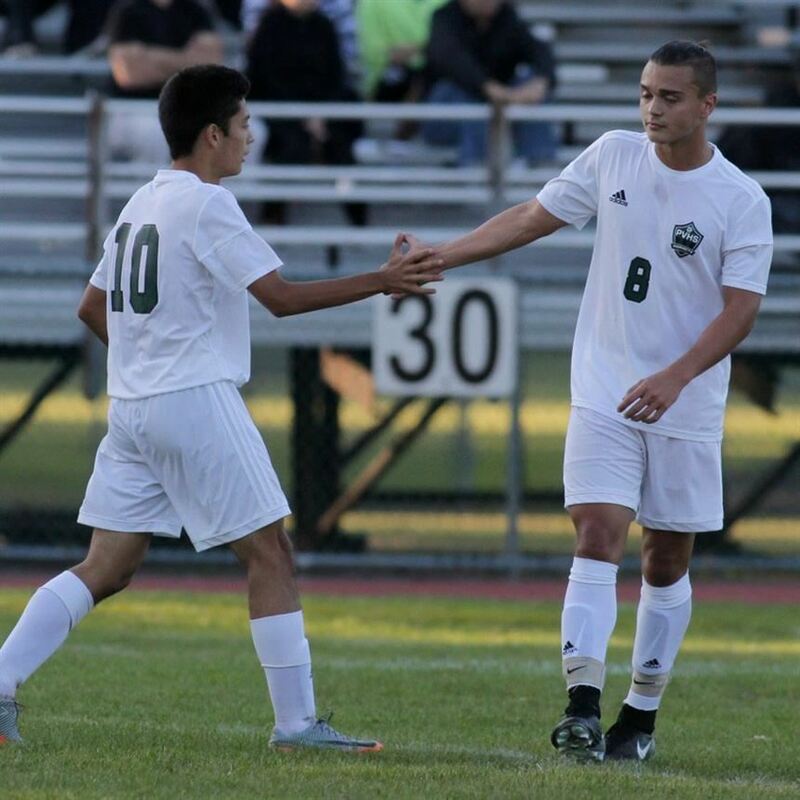 The boys' Varsity Soccer team has had an astonishing run this season, accomplishing a 9-3-1 record and becoming the Big North Independence Division Champions. 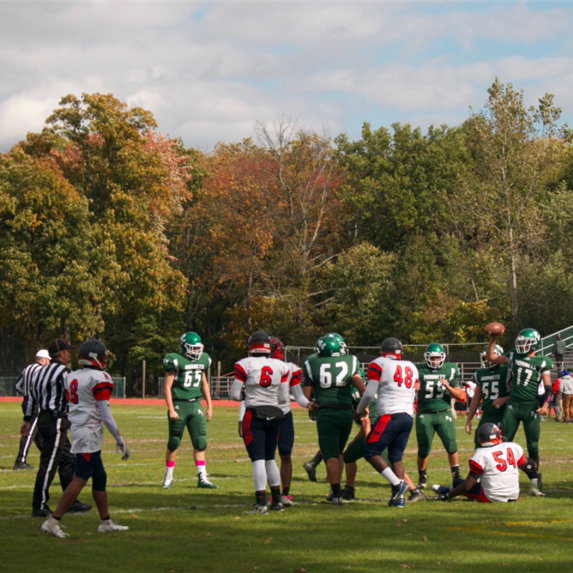 Taking the top seed in the County Tournament, the team will face Passaic High School this weekend at home. October is Breast Cancer Awareness Month. Several sports teams acknowledged the suffering of those dear to players and coaches. 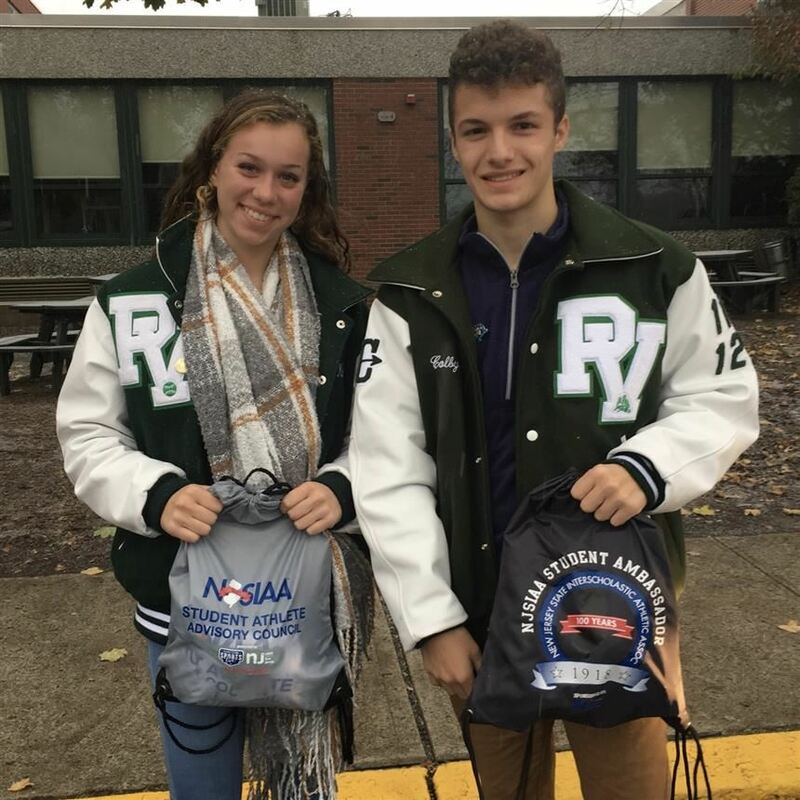 These special games and events show the character of Passaic Valley’s student athletes and their dedication to find a cure. For this year’s Homecoming, students and staff felt it was time to deliver something more unique and engaging. The arrangements for this year’s game, and the pep rally which preceded it, not only exceeded the community’s high expectations, but left its members with an incredible experience. Spring sports are now in session and, for some athletes, it will be their last season in high school. For one senior baseball player, Carlos Morales '17, his final season is also his fourth consecutive year on the varsity squad, a rare and prestigious achievement. 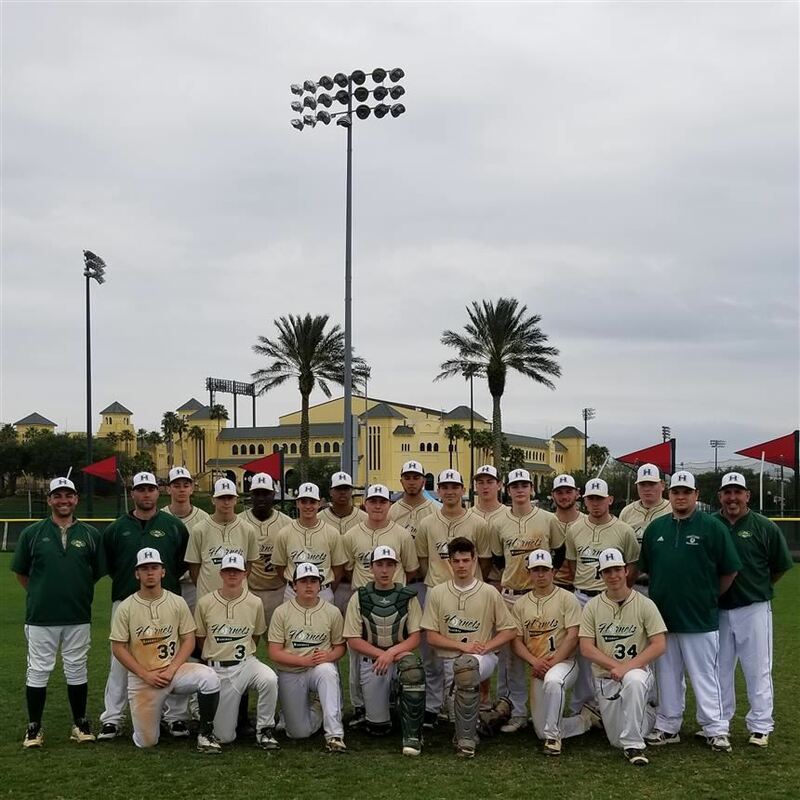 Varsity Baseball participated in the High School Developmental League (HSDL), held during summer vacation months. 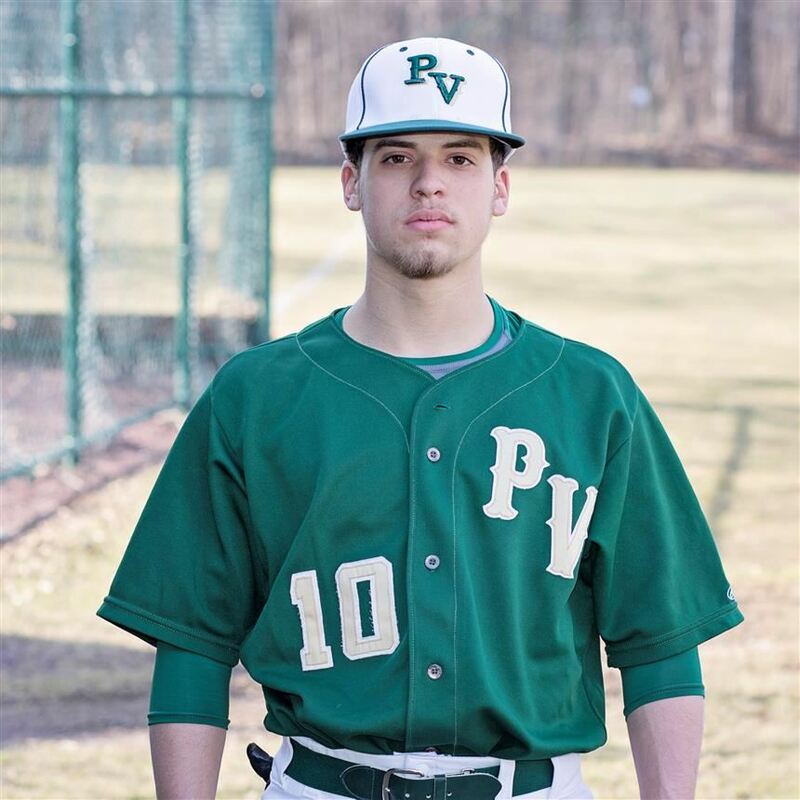 PV won the regular season and represented Passaic and Bergen Counties in the state tournament, where they eventually lost to Montville. 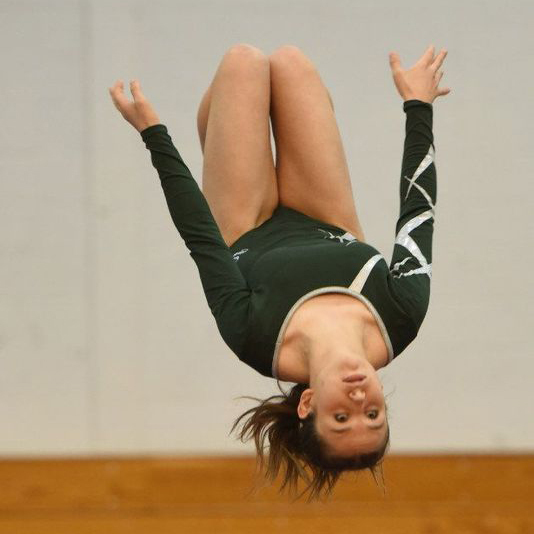 Varsity Gymnastics has proven its potential through the great accomplishments and placings achieved so far this season, winning more meets in 2018 than all wins combined in the past 7 years. The team has already captured four wins, their highest score being an outstanding 99.75 out of 120 possible points. 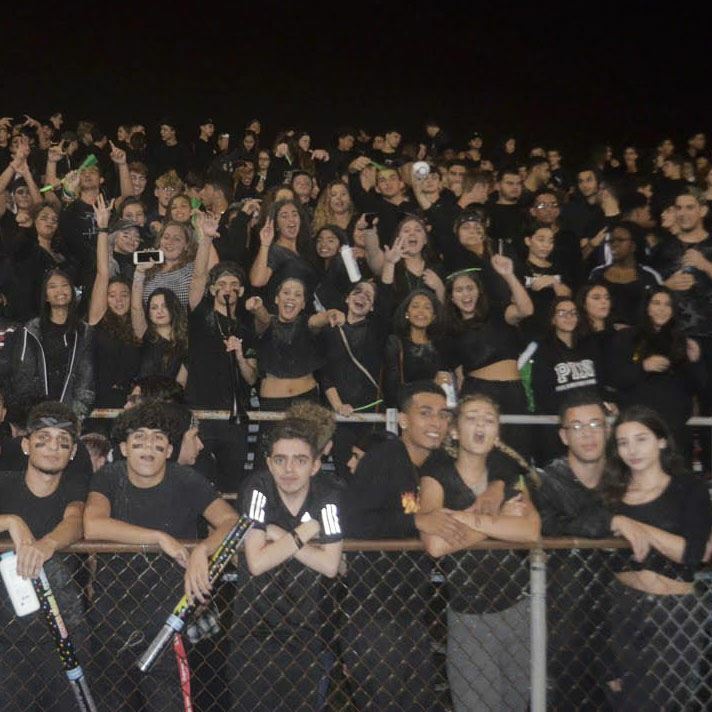 Students of Passaic Valley have been rallying up this year with reinvigorated school spirit and pep due to the new student section, The Swarm. Thanks to creator Sophia Ayoub '19 and wide-spread support from the community, The Swarm has flourished during these first couple of weeks of school. 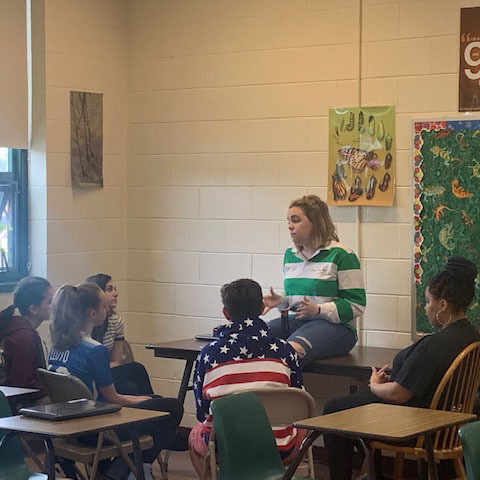 The Literary Club's annual Poetry Contest, which has been a tradition here for many years, is an event that many students look forward to as a way to express their emotions and showcase their inner Shakespeare. 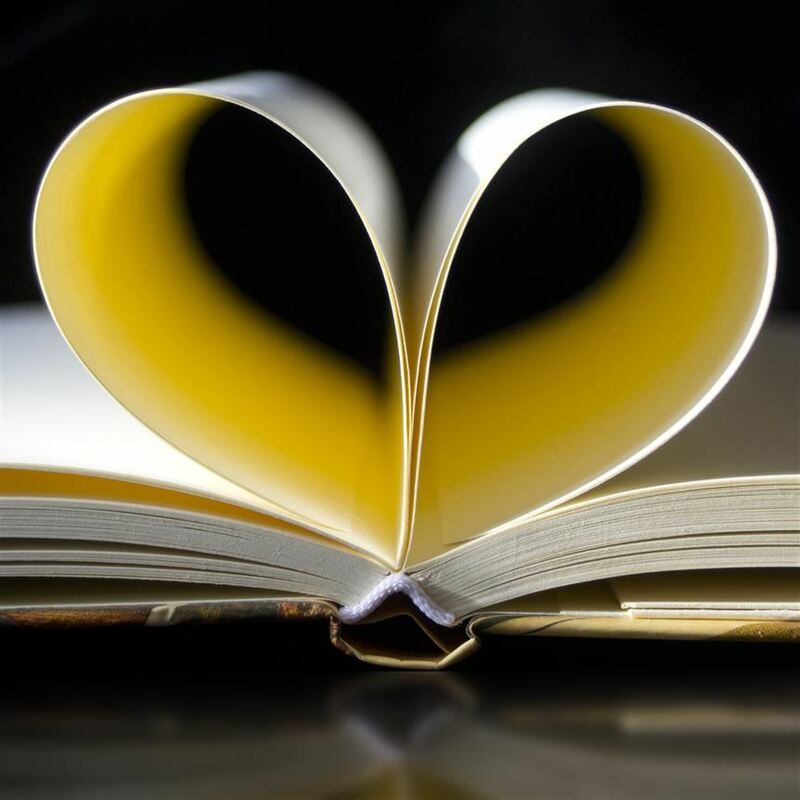 The Literary Club is currently accepting submissions for the contest until April 12th. The 74th annual Girls’ Show ended with a green flag rising for the night. 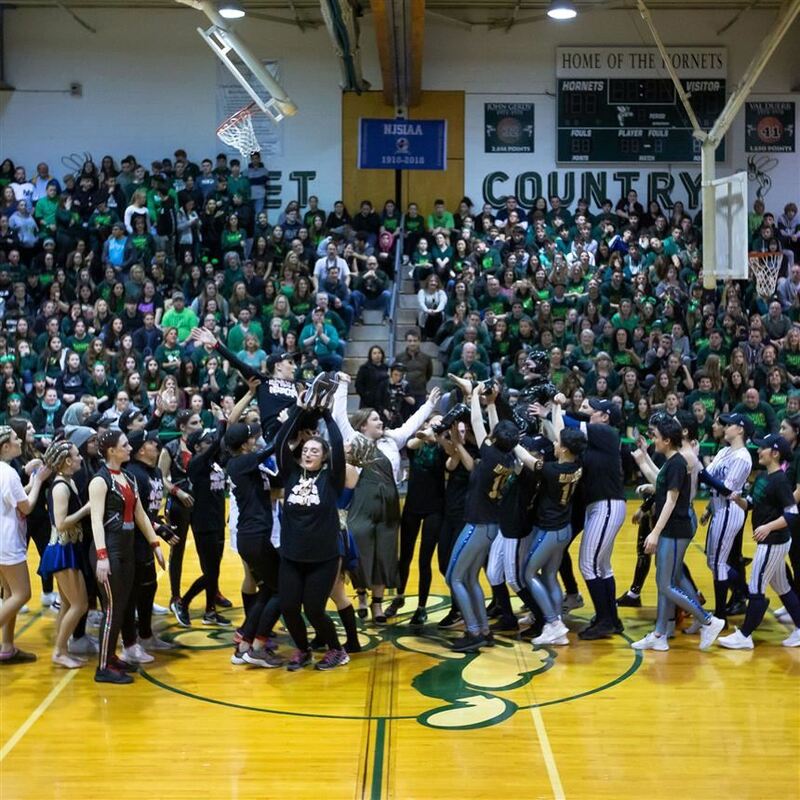 Regardless of the results, all participants were successful in showing the time and dedication put into the event on the floor that night, reminding everyone of the tenacity and commitment that keeps this tradition going. 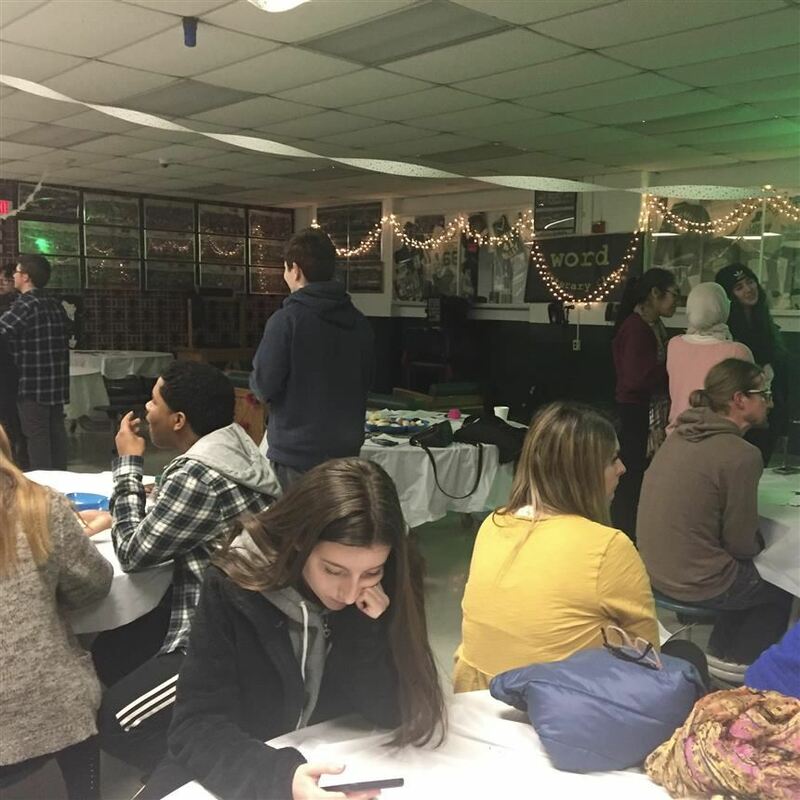 On Tuesday, February 26, the Literary Club held its annual Coffeehouse Event. The Coffeehouse Event is held to fund the Literary Club’s Annual Poetry Contest in April. Many teachers and students came together and made the night one to remember. 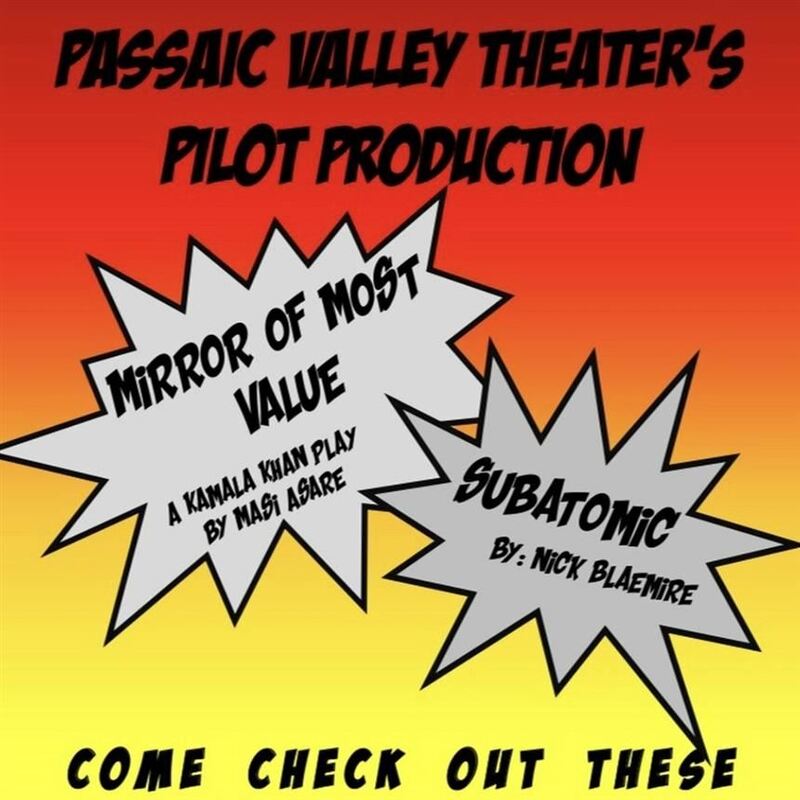 This year, PV, as a part of the Disney Theatrical Licensing Program, piloted two new dramas based on Marvel characters: "Mirror of Most Value," a Kamala Khan play by Masi Asare and "Subatomic" a play featuring Ant-Man's daughter by Nick Blaemire. 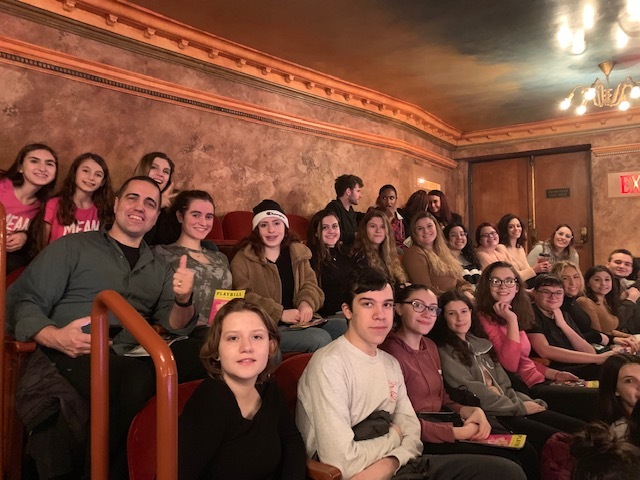 On January 24th, the Passaic Valley Drama Club took a trip into New York City to see Mean Girls on Broadway. Ms. Jennifer Shue and Ms. Pia Vanderstreet chaperoned the group as they attended a workshop, dinner, and finally the show. On Saturday, January 12th, representatives from several schools in the area attended the annual Speech and Theater Association of New Jersey (STANJ) at Montclair State University. 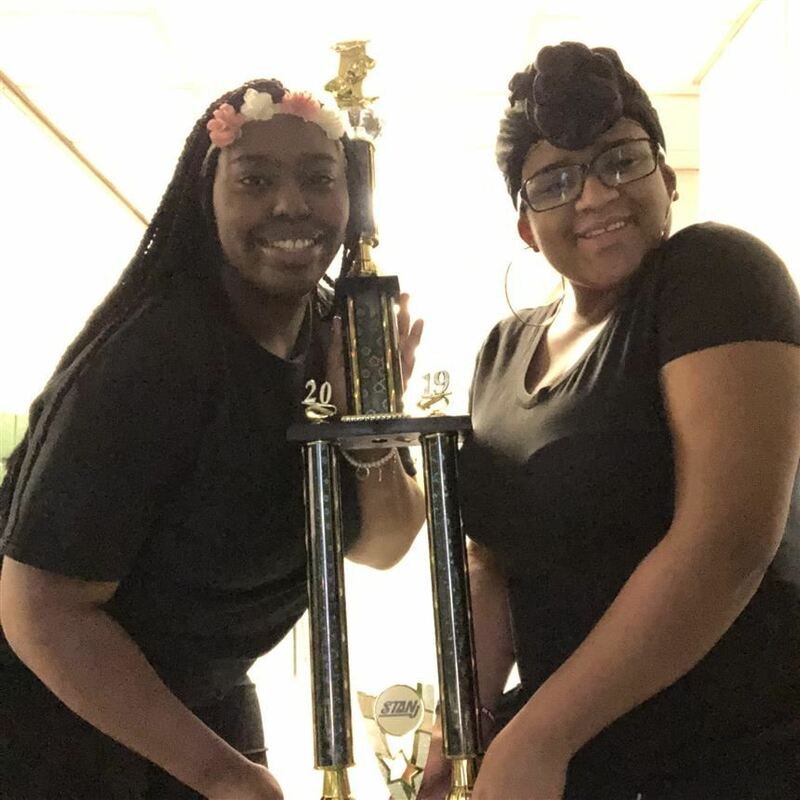 Taylor Capers and Michela Speller won first prize in the Communications and Media category. For auditions for The Addams Family, the Drama Club hosted a workshop lead by Broadway stars Jess LeProtto, Jelani Remy, and Jesse Corbin. Auditions will be held on February 12th at 5 pm. 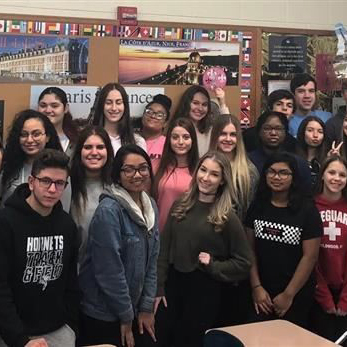 On December 13th, the French Club hosted a movie night for all students in order to present a new way of experiencing the culture. Due to the success of the premiere, Mrs. Lynn Lions, Club Advisor, plans to organize more nights in the same vein. On Thursday, December 6th, the FMPC invited Rammey Arsheed, an alumnus, to speak about life in the medical field. Arsheed went in depth about his college experience and the work effort required for a career in the field. He specifically spoke about how he became a chiropractor.